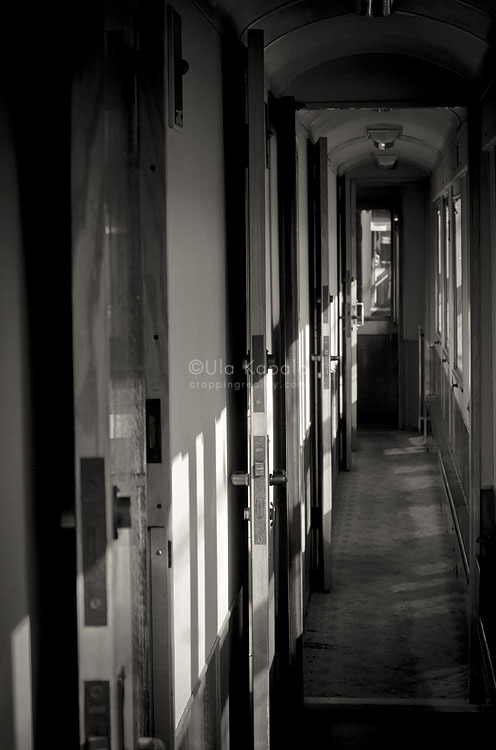 A corridor in an old train. Very nostalgic. This type of rail carraige should be re-introduced, so much more Orient-Expressish!